\r\nIn sniper CTF FeignDeath not work for drop the flag .... is it configurable ? \r\ni think i must spend a time to understand all configurable things in the ini, for example i cant stop telefrag. \r\nIn the meanwhile, if I understood correctly, you want to disable telefragging from the razored translocator? \r\nIf that\'s so, that setting is in the Mod menu > Nali Weapons 3 Gameplay Settings > Weapons > R.T. (settings) > then look for the telefrag checkboxes. \r\nAnd turn them to false. You learn UnrealScript mainly by reading other people\'s code. Removing code without an important reason (download size reduction and lack of helpfulness are not important in that sense) is extremely antisocial IMHO. Sure, without the source code the package is smaller, but let\'s be honest - text compresses well, so the difference isn\'t really noticeable for redirected downloads. \nThey work with the default Galaxy from the windows version perfectly fine though... not sure what I can do about that. \nIt\'s that the only sound giving you trouble? If so, I may be able to check in what it differs from the others and attempt to fix it. It\'s that the only sound giving you trouble? If so, I may be able to check in what it differs from the others and attempt to fix it. \r\nThe problem arises when I use the main NW3 Mutator and MonsterHunt Mutator (or the modmenu NW3 Profile) because they all load this sound. What\'s up with this: NWClientExit| on a bunch of keybinds in the user.ini? Thanks iloveut99, and yeah, that\'s why you guys may see NWClientExit| on some keybinds, is to ensure that whatever way you exit the game, I can restore your render ZRangeHack property to what it was initially so you don\'t see any differences when playing with NW3 or anything else. \nProbably is a bit intrusive, but almost all admins use mods that write tons of keybinds to the user.ini anyway, but I am going to put this in the FAQ later, but it shouldn\'t affect any keybinds functions themselves at all, it just makes the user.ini to have a few extra bindings to ensure that the mod works fine visually everywhere. \nIf you want to disable the writing of those bindings, you can always go to Nali Weapons 3 Client Settings (in the Mod menu) and in the Weapons tab, there\'s the "Z-Buffer Manager" setting (or something similar, not sure anymore) and you can set it to none, but then the glow effects on the weapons and a few other things may not work as desirable graphically. \nOn a side note, I am going to re-release the pack in the next few weeks due to a few bugs and I will take the advantage of this to include the full docs in it as well some bonus content (not weapons, just mutators and extra settings, probably new modifiers although it\'s not guaranteed). \nSo if you have any bugs to report or settings you wanted to see there or anything essential you think I should add to the docs (besides how to setup a NW3 server, summon commands, ini settings, automatic keybindings and the like, since obviously those are going to be there), please do so since the next release may as well be the last and final one relative the main mod (bonus packs may come later, but I don\'t want to re-release the entire pack more than once). \nkeybinds manually and saw it in there. \nIf there are any other sounds with the same error, please report. \nThat sound may have a different bitrate or something else along those lines. Anyway, I will look into the sound itself and try to fix it. Hopefully it\'s the only sound that way (I would like this to work under linux too). \r\nI\'ve tried it in both MH and DM, so far. Kinda think it\'d be too much for any other gametype. Which ammo regen are you using? NW3 comes with its own ammo regen, and it doesn\'t regen super weapons, such as the cybot launcher, so I assume you\'re using UTJMH regen which is somewhat ruining the NW3 gameplay when you get a cybot launcher or any other super weapon. \nAnyway, you can disable the cybot launcher entirely or disable each cybots individually from the mod settings or ini, or you can disable ammo regen from UTJMH and use solely the NW3 one. \nAlso, in the next release I will add some options such as limiting the amount of cybots per player and other similar things. \r\nAnyway, you can disable the cybot launcher entirely or disable each cybots individually from the mod settings or ini, or you can disable ammo regen from UTJMH and use solely the NW3 one. \r\nAlso, in the next release I will add some options such as limiting the amount of cybots per player and other similar things. \r\ni have a problem with the Nuclear blast and ace 8h. Just to mention for anyone who hasn\'t tried it yet. \nSome UK based servers with NW3. \nEDIT: Servers currently down for maintenance but will be back! \nWell folks, I don\'t know if you remember about this project at all or not, but these are the reason why I started to work on Nali Weapons 3. \nX-Vehicles was supposed to be a full vehicles pack for UT to complement NW3 (that\'s why this mod has vehicular mines, T-missiles and plenty of nukes). \nHowever, notice the word "was"..... yeah, it won\'t happen anymore. This vehicle mod won\'t be finished since I am going to leave the UT modding scene this year, and move on to more serious things such as UDK, as NW3 online success wasn\'t as great so for me is rather pointless to do anything beyond it. \nBut fear not, within some weeks I will release the final version of NW3 with fixes and a few addons AND X-Vehicles as well as they were 2 years ago. \nBy then I will give more details (and a video), but basically this vehicles pack doesn\'t have any online support, lacks proper physics, AI and HUD, besides having a few bugs (again, the last time I touched them was 2 years ago, so not the best visuals nor coding), but they can still be used to toy around and build SP maps with no online support in mind though. \nAlso, my NW3 Dropbox mirrors are now down (your fault for downloading too much ), so if you need mirrors (because GameFront excluded your country or so), then I already added more mirrors to the first post (from MediaFire). \nI have seen it happen last years, most people have left the scene en less new ones came... we can act like nothing happend but it is a bit "over"
\nmy servers and will run them from Germany, he\'s still very enthousiast wit it all. \nagain all credits for u with this superb NW3! \r\nAnd although Flak posted about this mod in specific, she also mentioned the UT ModDB page where other mods reside, so awareness is there once again on other mods too. \r\nThanks to everyone who supported this mod so far, and if you have a UT mod that is not in ModDB yet, put it there to take advantage of the link Flak posted there, so whoever follows the link can see more mods and freshness to this game. \nI can confirm that it is just this one sound. \nI have hacked up a working NWBoltRifleV3.u by simply replacing this sound. \nBecause as that link stands, it may be the starting point of online mismatches, so another "NWBoltRfileV3" should not ever exist besides my own otherwise problems will arise in servers. \nAlso, did you fixed the sound itself or replaced by a different sound altogether? Using NWCoreV3.NWMainReplacer doesn\'t seem to always work? \r\nOn maps that are using all the X_WarheadLauncher, X_MedPack0 etc actors from xpickups, the weapons don\'t get replaced with the Nali 3 ones. Would I have to edit & manually swap the weapons out for those maps? Well, the replacer works, in the current version it\'s setup to only replace the original UT weapons. XPickups uses subclasses of those weapons, therefore they aren\'t replaced at all. I don\'t remember the structure of XPickups anymore, so I\'m afraid that for the rest of the pickups you will have to add the configurations yourself in the NWConfig.ini. \r\nhave setup a server and given it a good blast lots of fun indeed. \r\nFew things Iam keen to try and figure out.. if I run a Nw servers and wanted to include a couple of NW3 weapons into it how would I do that? \r\nso the sniper would replace the std ut sniper.. and the awesome redeemers would replace the redeemer. 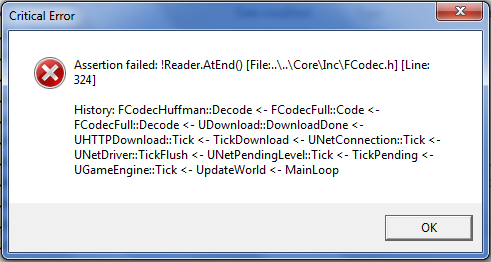 \r\nsecondly the little timer device that we spawn with.. that always throws an error... what is that for? \r\nAlso I read somewhere that you may be able to incorporate your newer version of zp into nw\'s? \r\nis this still in the plans ahead or ? \r\nDidn\'t replace anything, just added the IRPR sniper and a few of the nukes. \r\nYou have to edit the map to achieve this so we added some changes/secrets. \r\nI think the other way to achieve what you want without editing a map is to use a mutator that replaces stuff. It\'s fairly simple (and no, you don\'t need any additional replacer, it\'s my fault for not providing docs yet about the true capabilities of the replacer that comes with NW3). \nJust open UT, go to the Mod menu, and then Nali Weapons 3 Gameplay Settings, then in one of the tabs you can check and uncheck the weapons you want. \nThen close it, and upload your NWConfig.ini to the server, done. \nAlso, if you just want the sniper and all the nuclear weapons, you don\'t need to host the entire pack, you just need to host the packages concerning each weapon. \nNWCybotLauncherV3.u -> these 6 packages are the nuclear effects + 5 super weapons: all nuclear launchers, megaton, ultimaprotos, ionizer and cybot launcher respectively. The device is to defuse the Megaton (the deployable nuclear bomb). If you actually press the numbers in your keyboard once you\'re in its input mode (right click), you can type the code. \nThis way, if you defuse an enemy Megaton (by knowing its code), then you can pick it up and use against him (although he can do the same to you, so it\'s a cat and mouse game). Also I read somewhere that you may be able to incorporate your newer version of zp into nw\'s? \nis this still in the plans ahead or ? Yes, the new ZP that comes with NW3 was planned to be used for NW, however since I didn\'t receive enough input in how the NW3 one plays, I am not so sure anymore. \nThe NW3 ZP is made from scratch btw, and I would perhaps dare to say that is by far more secure than the currently used ZP, since I don\'t rely in hiding code to make it secure (that\'s right, NW3 ZP is open source) and since it makes a ton of validations server-side and has support for plugins to further enhance that security (so even if an exploit is found, one can simply write 1 single class of code with just a few kb and put it as a server only mutator and the weapons will autobind to it and make further validations through that new code, and by being a server-side plugin, one can make that new code fully private if they so wish), but since I received zero input in how it plays out, I may not do it for NW. \nPlus, there\'s this new thing called NewNet someone is developing and which looks promising, so probably that will make ZP obsolete anyway as far as NW is concerned. \nso maybe worms mod or weapon swapper will be the solution atm or edit the map..
\r\nthanks for clearing that up for us. thought there was another option to add/replace weapons through NW3. \r\n	 \r\n	\r\n	Yes, the new ZP that comes with NW3 was planned to be used for NW, however since I didn\'t receive enough input in how the NW3 one plays, I am not so sure anymore. \r\nI have tested locally and on server but others can-not join as the above crash happens, and trying to get them to download from here is a mission. \r\nnow; in regards to weapons etc I think some are great for different gametypes.. for example in DM I would make use of sniper/redeemer class one/two , maybe one or 2 others. \r\nrather then replace std weapons with NW3 ones perhaps there could be an option to randomly spawn weapons/ammo (excluding nukes) on maps...? \r\nre: Nukes maybe separate either randomly spawned or replace deemers on maps.. also because some of the nukes are just astronomical in blast-factor z .. somehow configure them to only utilize certain level nukes based on mapsize.. for example deck16-][ would be at most level 2.. but face could go upto the biggest one? \r\nanyway based on this analogy players would slowly be introduced to new weapons whilst not losing the ones that they are already used to. The randomly spawn thing could be adjusted to either spawn multiple NW3 weapons all over the maps... or in one spot and rotate the weapons on a timer 30/60secs.. or something. \r\nGreat to see that you have made a new version of ZP and anything like this is always welcome.. I vote YES to making your version for NW\'s as well and this also I think will bring NW3 more into the limelight especially if your version is better (iam sure that it is) then the current buggy versions 103/pure/201 etc. \r\nHaving the ability to utilize different / better versions of this kind of technology can only lead to a longer lifespan of ut and allow us to continue playing it for years to come. \r\nsomethings maybe you can incorporate into a NW pack is ZP Combo Gib with all the bells and whistles that can\'t be done effectively atm. CiG is a very addictive gametype and very popular. However the ZP alternatives are not the best and require all-sorts of addons in order to perform like admins extension of wormbos original version. Add Grappling to it and shes stepped up another level , combine your Xloc and its moving forwards again. \r\n^ perhaps something like this would on its own be wicked. \r\ntim-.- explains here all of the things that it does and from what Ive tested , will send you a link to a server .. it is very impressive. \r\nanyway I will try to rectify the downloading problem ,... however I am having problems finding / using redirect file checkers/compressers..
\r\nand dread going through all of this atm. \r\nand as always , keep up the great work. You have done well indeed. \nThe replacer I made is full featured, and can pretty much be configured to do whatever you want, I just hadn\'t time to release info on it thus neither admins or players know exactly the huge amount of things it can actually do. \nIn Deck16][, if you don\'t modify the main ini of NW3, you won\'t ever see megatons, nor any nukes beyond level 2-3. \nHowever in Face, they will appear since the map is big enough. \nEach replace have filters in their own, you can even define in which exact gametypes they should appear or not at all, or based on the amount of player spawns, etc, etc. \nOne can go as far as write his own condition code in a very simple way as a plugin to extend the filters on the replacement. \nThat\'s why I always advised to use my replacer and none of the other swapper mutators, since mine is much more featured and customizable afaik (and I would I dare to say... more stable and faster?). The only issue with it, again, is that I hadn\'t time to release more info on it yet, but if you check the NWConfig.ini, the last section with huge lists on WeaponItems and whatnot, you will see the amount of things you can configure there. Great to see that you have made a new version of ZP and anything like this is always welcome.. I vote YES to making your version for NW\'s as well and this also I think will bring NW3 more into the limelight especially if your version is better (iam sure that it is) then the current buggy versions 103/pure/201 etc. \nHaving the ability to utilize different / better versions of this kind of technology can only lead to a longer lifespan of ut and allow us to continue playing it for years to come. It may bring the technology and its credibility a bit more into the limelight if I release a new ZP and say "this is taken directly from NW3", but never the whole pack itself. Many know the pack, so that\'s not the problem. \nBut fact is, 99% of people are completely unaware of the actual technology behind the pack (and you are the perfect example of it, 95% of your suggestions are already implemented in NW3). \nIt\'s my fault for not providing more info, but the actual NWCoreV3.u package is like a mini-SDK of sorts, with classes for everything when it comes to make new mods, with many aspects of replication already sorted and plenty of features for anyone to do what they want. \nAnd even if they don\'t want to use the pack, in the ReadMe I state that any developer is free to rip code from it, and I know at least 1 dev that already made so and didn\'t regret it (he actually still asked). \nAnd I was actually going to use this package alone to build non-NW3 mods from it, like a new improved Siege for example, or new gametypes and a weapon pack I was planning before. somethings maybe you can incorporate into a NW pack is ZP Combo Gib with all the bells and whistles that can\'t be done effectively atm. CiG is a very addictive gametype and very popular. However the ZP alternatives are not the best and require all-sorts of addons in order to perform like admins extension of wormbos original version. Add Grappling to it and shes stepped up another level , combine your Xloc and its moving forwards again. ZP is only concerning the weapons themselves. Player movement is tricky, and UEngine always handled it the same way (you move on your own, and the server updates on your input, and if you\'re too off at some from the server version, it corrects you, thus when having a big lag there\'s teleporting and glitching everywhere). \nProbably NewNet is doing things the other way around: it trusts the player moves and checks his ping to check the likelyhood of his position, but this is just a wild guess as I never looked into its code nor tried it myself yet. \r\nthats ok...i\'ll take up where you left off, thanks for the new nali weapons 3 meshes.